- A bunch of small designs that can be used for all kinds of projects: pinkeeps, cards, ornaments, handtowels, etc. 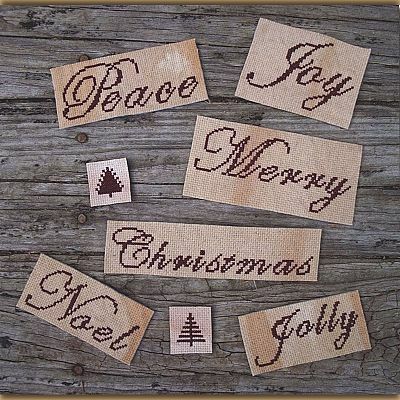 Includes patterns for six holiday-themed words, and two tiny trees. Stitch counts vary. 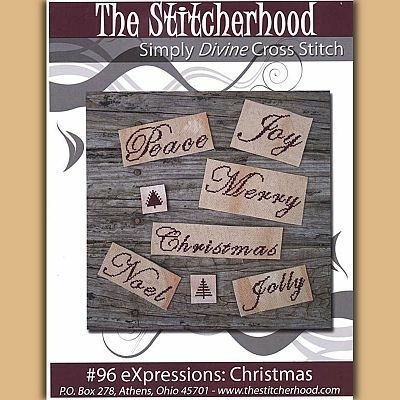 The word "Christmas" is 93 stitches wide and 19 stitches high. The smallest tree is only 13 wide by 14 high. Do you have any other questions about our Christmas eXpressions Pattern?